Transfer speed is really important in this day and age due to a high need for new information. 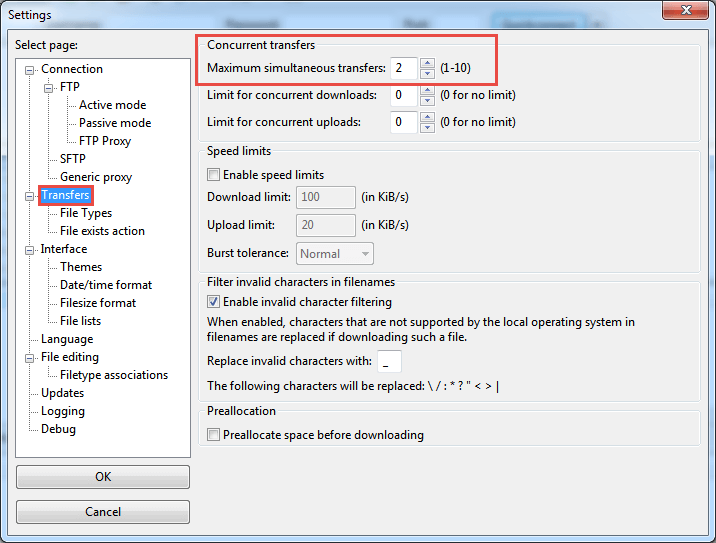 In this article, we will show you how to Maximize your Transfer speed using FTP in FileZilla. Also, we will show you how to increase your number of concurrent downloads. One of the most popular FTP client available is Filezilla, with its familiar user dashboard that makes contents of your local machine readily available on the left side. However, like any other applications available for various tasks, one can never get to use all of its features. When transferring files, both uploading and downloading from a point to another, we always want to get the best speed possible. When using certain software applications, a considerable improvement in transfer speeds can be attained by modifying the settings of the software. To give a concrete example of how this tip works, let’s try it with Filezilla. Run FileZilla and got to the “Edit” tab in the top left corner. In “Edit” drop-down menu choose “Settings” option. “Settings” window will open and you need to choose “Transfers” from the list on the left side. Under “Concurrent Transfer”, you will see the first option to change Maximum Simultaneous Transfers with the default of just 2. 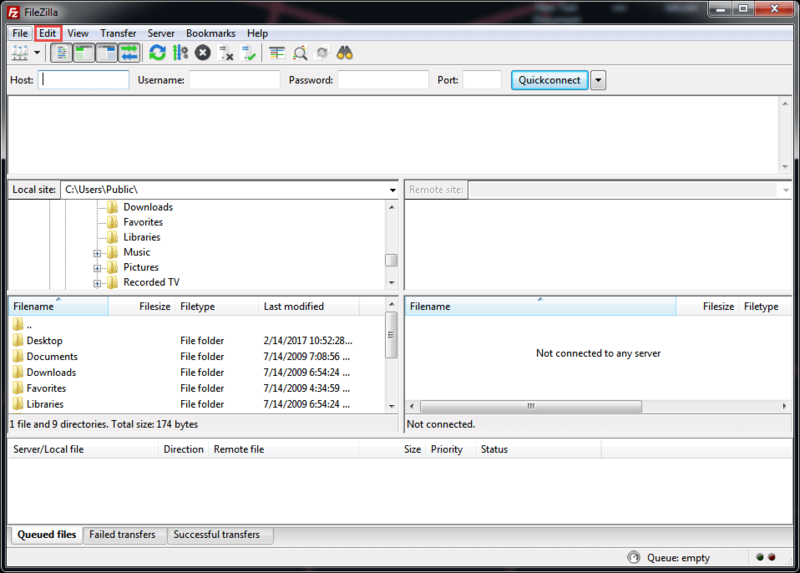 Here you can modify it to 10 simultaneous downloads to let FileZilla transfer 10 files all at once. Try this setting and you will see 10 files being queued at once. By doing all the steps from above, you will increase the number of files you are transferring and maximize your download speed. We also encourage you to stop all active torrent files while the transfer is in progress so you can get that extra boost needed for faster finalization.